One last road trip before fall arrives, a quick tour of the southern border of Nebraska along US 136 and NE 89 to McCook. I'm crossing off the last few towns I've yet to visit south of I-80 and stopping by a places I haven't seen since my initial travels for ninety-three back in 2007. Returning to some of these towns, like Wilsonville, is like seeing an old friend, even if we only met for a very short amount of time several years ago. Not much changes in these parts. Tomorrow I'm headed towards the Colorado border and then back home across the state. Visited: Milligan, Superior, Abdal, Red Cloud, Bloomington, Naponee, Harlan County Lake, Republican City, Alma, Orleans, Stamford, Beaver City, Hendley, Wilsonville, Lebanon, Danbury, Marion, Grove Cemetery, and Culbertson, Nebraska. Oberlin, Traer, and Herndon, Kansas. 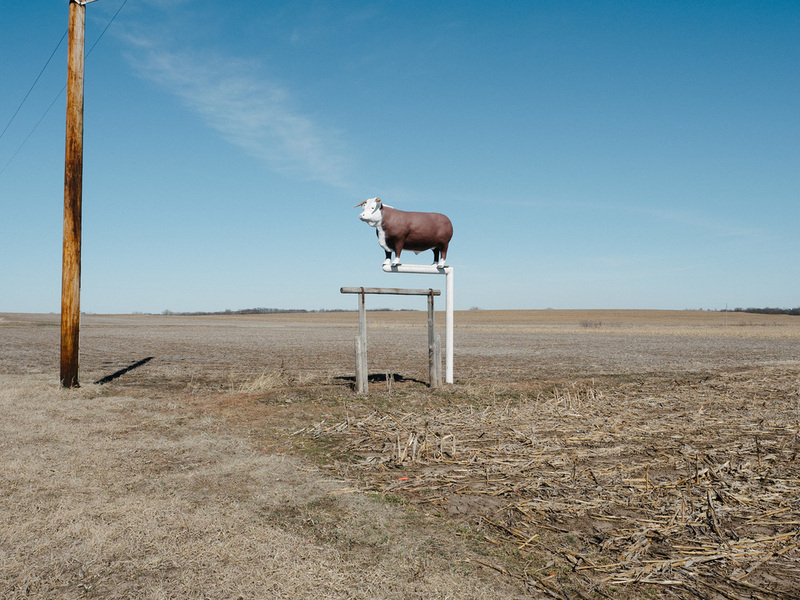 I spent an unseasonably warm February weekend exploring north-central Kansas and a few new places in Nebraska. It was a near-perfect two days of wandering, minus an obnoxiously persistent and forceful wind that followed me through Kansas' flint hills. Every time I got back in the car, I'd find myself chewing on wind-blown sand. 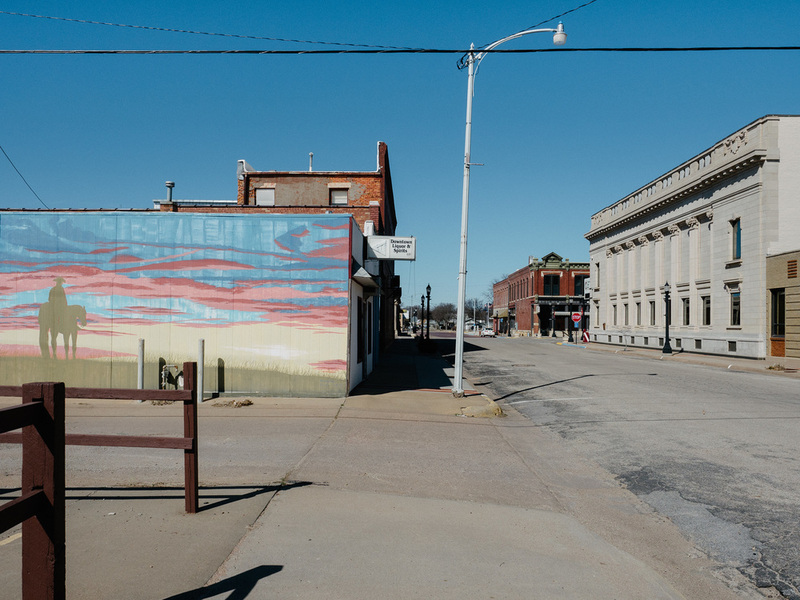 In Ellsworth, I stood on main street next to a hand-painted sign for a western shop as a large tumbleweed rolled past at full speed. So it goes in the mythic west. Next up, I'll be returning to the panhandle and the Oglala National Grasslands in a few weeks' time to finish work on a project I started a few years back. I'm looking forward to getting out to Wyoming again.